Well, it has been a busy week so I’m sorry I don’t have an organized post for you this Saturday. Instead, I am just going to tell you a bit on how things have been going. Why has my week been busy? One of the main reasons is because I have been getting my taxes done. Because my online retail business is structured under a corporation and because there are so many different aspects of the business, I do have a professional tax service do my taxes. But it is still my job to organize and submit everything. Then, of course, there are blanks which the preparer points out and needs more information on. This year, he told me that I have to start doing payroll. Even though I am the only owner of the corporation stocks and the only employee, I have to pay myself. Sounds simple? It is not. Setting up payroll includes more federal paperwork and requires tax reporting and social security withholdings. I suppose I could try to figure it out myself, but business is picking up so I would prefer to focus on customer service and improving my websites than spending time trying to figure out all the crazy federal laws and reportings. So, I am hiring someone to do it for me. If anyone ever tells you that running a website is easy, they are lying or they don’t know what they are talking about. There are a lot of costs involved and a lot of projects that need to be done in order to get a website on the first page of Google, Yahoo!, and other search engines. Even after running websites for nearly six years, I still have projects I need to do. It is a never-ending job. Sometimes it makes me money, and sometimes it doesn’t. I also had a medical procedure done mid-week. Don’t worry, it was nothing bad. It was elective but nothing like plastic surgery or anything. Hopefully in a few months I will be able to give you more information. For now, my lips are sealed! Of the many projects I have been doing to make my retail websites better is to build sitemaps. I thought it would be easy. It was not. I’ve finally finished them for my www.PetAutoSafety.com website but not the others. What is a sitemap? It is not something I can easily explain so you may want to just Google it instead. I will tell you that there is more than one kind. There is an xml, html, and rss sitemap. I need one of each and creating each has its own set of procedures for setting up. Once they are set up, I have to submit them to Google and other search engines. I’m still not done. I am proud to say that I finally finished getting a paperback version of my book on Amazon. 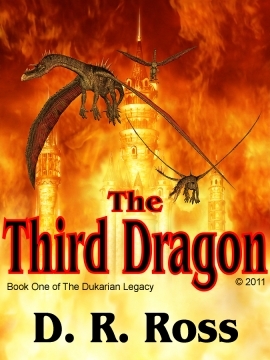 You can find it at http://www.amazon.com/Third-Dragon-Book-Dukarian-Legacy/dp/1469974428/ref=sr_1_1?ie=UTF8&qid=1330199368&sr=8-1. However, it is still not showing up in searches. You have to direct link to it in order to find it. I went back and forth with Createspace.com a bit, and have now sent an email to Amazon.com. Hopefully I will find out what the deal is soon. I am supposed to be editing book two, but obviously with taxes and doctors I have not been doing it. I should have spent my time in bed rest editing my book. Instead, I watched TV. I will tell you about that in a moment. I dread the editing process. I find that even though I know how my story will go, I get caught up in it and forget to look for editing opportunities. Thank goodness for professional editors. Our local video store is going out of business so they are selling all their videos. I found a bunch of great ones I wanted including the TV series for Heroes. I watched the first three seasons but missed out on the fourth season. So, you guessed it, while I was getting bed rest this week I watched the full fourth season of Heroes. And I loved it! I am envious of all the twists and turns and little plots which my stories seem to lack. And I love all the characters. Even the most antagonistic character, Sylar, is a fantastic character. I’m not sure I felt he should have been redeemed. I wished Mohinder had been more involved in the story. They never showed whether he got back with his girl. Also, what ever happened to NIki’s son Micah? I don’t remember if something happened to him in season two or three. Perhaps I should buy seasons one through three as well. I have to admit, that this is not something I have done to its fullest potential. As a result, it has been more than ten years since I first wrote then published my fantasy novel. How can you publish your novel within a much shorter period? The most important thing you can do is set goals. I set good goals for editing and publishing my book, but when things fell through to a bad end, I put it all aside and did nothing for a very long time. To find out what this major pitfall was, visit this blog post – https://dawnrossauthor.wordpress.com/2011/01/30/difficulty-in-finding-a-literary-agent/. First, set your long term and broad goals. Depending on how long your story is, give yourself a good year or two for writing your novel. The writing process for my 125,000 word fantasy novel took nearly two years. It took several more months for editing. How long to set your goal for publishing depends on how you plan to publish your novel. If you are going to go the self-publishing route like I did, you should probably only need a few months. But you will need to add several more months to that for marketing. Once you estimate how long your broad goals are, set smaller goals within each. Make your goals realistic and make allowances for unexpected life events. Be sure to include each and every step. 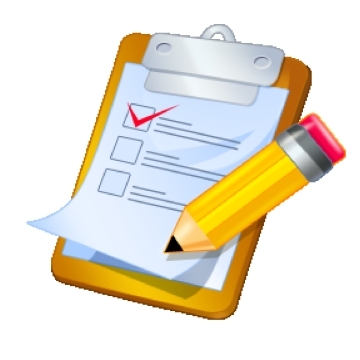 For writing a novel, your first step would be the outline. Then research. Finally, you would progress to writing each chapter. For editing, you will probably want to go through your fantasy novel yourself about three times. You may also want to have friends and family review it. Then you will need to allow time for finding, then hiring a professional editor. For publishing, self-publishers will have a lot of steps. You have to put your book in various formats, review guidelines for each self-publisher, build websites for marketing, and so on. A great guide for many of the steps needed to self-publish your novel is “How to Make, Market and Sell Ebooks All for Free” by Jason Matthews. If you are going to go through a publishing company like Tor Fantasy or Bantam Books, give yourself a few months to write a good synopsis, proposal, and query letter. Then make plans to research agents and/or publishers. Finally, decide on how many you will submit your manuscript to and how often. Stick to your goals as much as possible. But remember that your goals to write, edit, and publish your fantasy novel are dynamic. Goals are guidelines to help keep you on track. If life gets in the way reset your goals without guilt. Don’t rush in writing your novel and risk its quality. You will also find your goals to be readjusted for new information. Perhaps in the editing process you realize that you had been using punctuation or grammar incorrectly. Or perhaps in your marketing, you found a new way to promote your book. When you self-publish your novel today, it is much easier than it was a few years ago. Places like Amazon.com and Smashwords make it simple for anyone to self-publish a book. While publishing may be relatively easy, marketing is not. This is where I fell short in setting my goals. My fantasy novel is published, but I have not yet marketed it. Perhaps I will read “How to Make, Market and Sell Ebooks All for Free” again and set my goals. “The Raven’s Fire: Book Two of The Dukarian Legacy” has been written but not yet edited. Prior to sending it to a professional editing service, I should edit it myself. When editing your book, there are several issues that need to be considered. It happens all the time. You write the story then decide to change something. But you forget that this something is mentioned in other parts of the story and you forgot to change that too. This is why editing your book before publishing is so important. And why you should have a professional editor review it too. If Alexander Dumas had a professional editor, d’Artagnan would not have become a musketeer twice! Read your fantasy novel to yourself. Make sure it is worded properly and there are no run-on sentences. Consider using a book on grammar and punctuation to help you clarify any sentence structure questions you have. When do you use a colon or a semicolon? Does your sentence need a comma or multiple commas? Questions like these are not always easy to answer. Any time you have a question about grammar or punctuation, refer to a book like “The Blue Book of Grammar and Punctuation“. Punctuation may seem like a minor thing, but having incorrect punctuation will really bother some of your readers. We all know that the first letter of the first word in a sentence is always capitalized. But this is not the only time a word is capitalized. Is the word king always capitalized? Is it capitalized if you are talking about a specific king without mentioning the king’s name? Or is it only capitalized when you are speaking directly to the king or naming the king, as in King George? This is one of the many capitalization questions I had when I first started writing my fantasy novel. Other capitalization questions I had included when and when not to capitalize places, titles, or directions (as in when I use the southern province as compared to Southern Ungal). How well does your fantasy novel read? Does your story flow properly? These questions cannot always be answered easily with a book on grammar and punctuation. And it is not always something that a professional editor will comment on. Perhaps have others read your fantasy novel so that they can help you with readability problems that you didn’t catch. Another thing I noticed in regards to readability is my tendency to repeat the same descriptive words over-and-over again. For example, when I first wrote my fantasy novel, I found that is used the word said a lot. People don’t just say. They use emotion when they speak and this emotion can be heard with words. Use words like bellowed, coaxed, stammered, stressed, protested, grumbled, etc. Spice up your fantasy novel by using different words that mean the same thing or have a bit more of a visual affect, like bounded or sprung instead of jumped. It helps to have a thesaurus on hand just for this purpose. Editing your book prior to sending it to a professional will help to reduce the number of errors that a professional editor will find. Nothing could be more daunting than to get your manuscript back from the editor and find so many errors that you are overwhelmed. If you don’t know the proper grammar and punctuation rules beforehand, then you will feel like you have to write your fantasy novel all over again when you get it back from the editor. 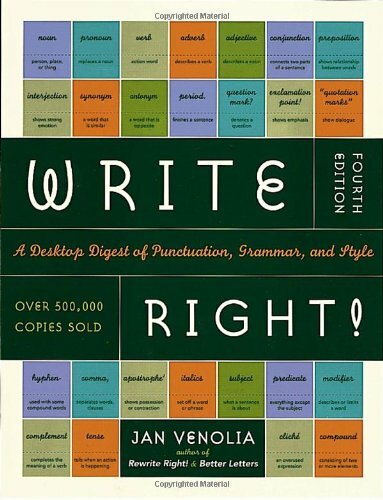 Great grammar and punctuation books to use when editing your book include “The Blue Book of Grammar and Punctuation“, “Painless Grammar” from Barron’s Books, and “Write Right! : A Desktop Digest of Punctuation, Grammar, and Style“. A good thesaurus to use is “Roget’s Super Thesaurus” by Marc McCutcheon.